The Desert Hearts 2019 Lineup Is Insane. Are You Surprised? Seriously, are you? You shouldn’t be. 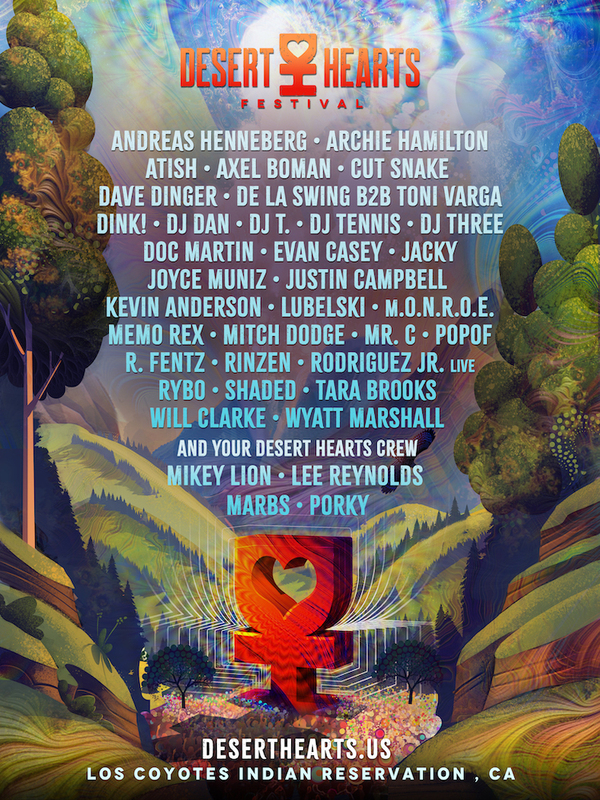 The core Desert Hearts crew (Mikey Lion, Pork Chop, Lee Reynolds, and Marbs) is always enough to rock a party on its own but adding talent like Cut Snake, DJ Tennis, DJ Dan, Doc Martin, Kevin Anderson, Popof, Rodriguez Jr., and so many more means this year’s festival is going to be one for the books. But again, are you surprised? The DH crew has been doing this for years and their lineup is always stacked, selling out the festival before performers are even announced. That’s quite an impressive feat and something few events can do (EDC follows a similar model and hasn’t sold out this year despite being a month away, though a much different festival and offering way more capacity). Just goes to show how dedicated Desert Hearts’ following is. Not to take a stroll down memory lane but a few years back during the last BPM Festival that Mexico saw, Mikey Lion and Pork Chop were among performers and out of hundreds of artists playing over the course of 10 days their sets stood out. If that doesn’t say something then I don’t know what does. You can hear many of the recordings from previous Desert Hearts below. Pay special attention to the magical Damian Lazarus sunrise set (098 below) because it’s too perfect. Hope everyone is excited, DH2019 is in just a couple weeks!